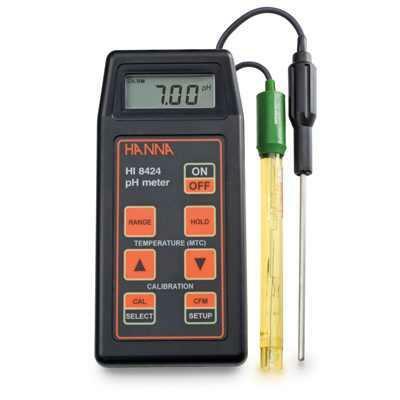 Description: pH TESTERS, Hanna make, Large LCD Display, 2 point calibration, Renewable junction.Range: 0.0 to 14.0pH, resolution :0.1pH, Accuracy (@20°C): 0.1pH, Working Temp. 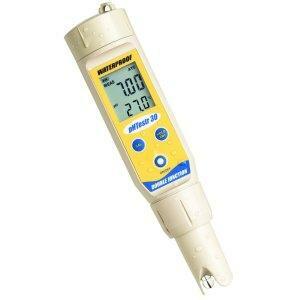 : 0 to 50°C. 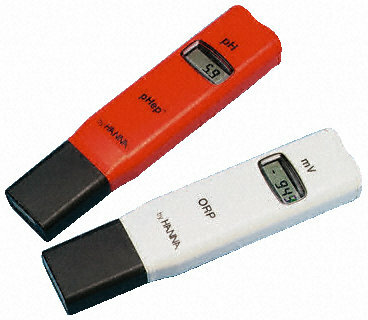 Description: DIGITAL PORTABLE PH METER MODEL :PH test 20, Resolution: 0.01 pH, Accuracy: ± 0.1pH. 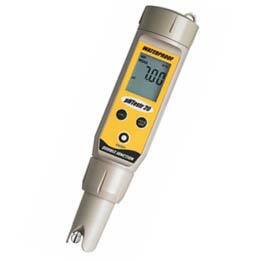 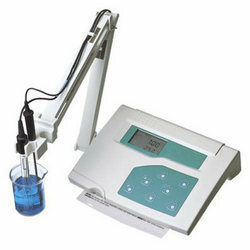 Description: DIGITAL PORTABLE PH METER MODEL :PH test 30, Microprocessor Based, Large dual display LCD screen, with ATC. 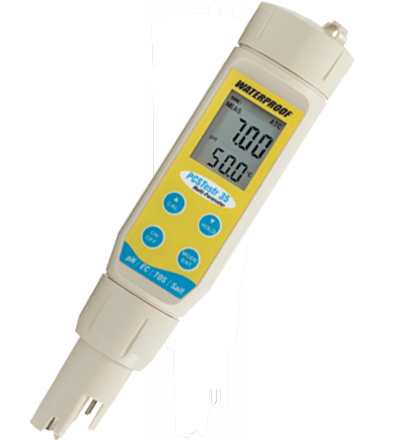 Water proof, 3 Point Push button Calibration, Simultaneous Display of temperature in °C and °F. 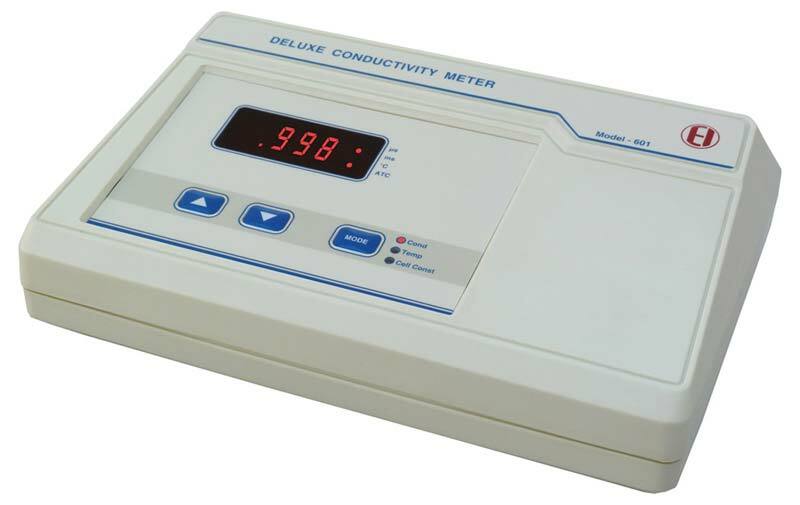 Description: MICROPROCESSOR BASED BENCH pH METER MODEL: “ECPHTUTOR-DS”Large LCD dual display, of pH and Temp., Plastic body splash proof, light weight, with ATC & MTC, BNC connector, 3 point auto calibration.